Join our team! We are hiring for several new positions at Catalytic Health Partners. We are looking for exceptional team members to help us make a difference. Our Purpose: Transform healthcare delivery to empower each member with tools and advocacy to receive the care they desire and need. We exist because we are reshaping healthcare. We have identified a way to deliver superior care and dramatically improve outcomes in health population management through the use of innovative technology, smart data and resourceful, caring people to address the healthcare triangle: social, mental and physical health. We help patients step forward on a path to well-being with confidence. WE ARE CHP! 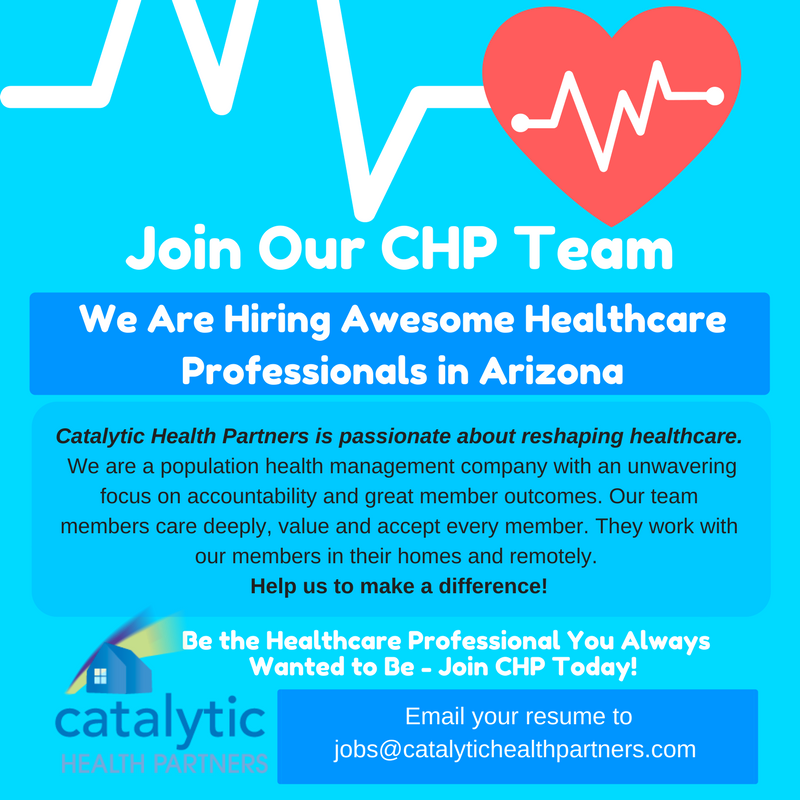 Forward us a copy of your resume to jobs@catalytichealthpartners.com and note the position you are applying for in your cover email.